Empire Coin and Valuables, Precious Metals Purities. Throughout history the use and display of precious metals products, primarily gold and silver, has been used to help convey wealth, prosperity, and status. Along with a variety of products we will also find a variety of purities. 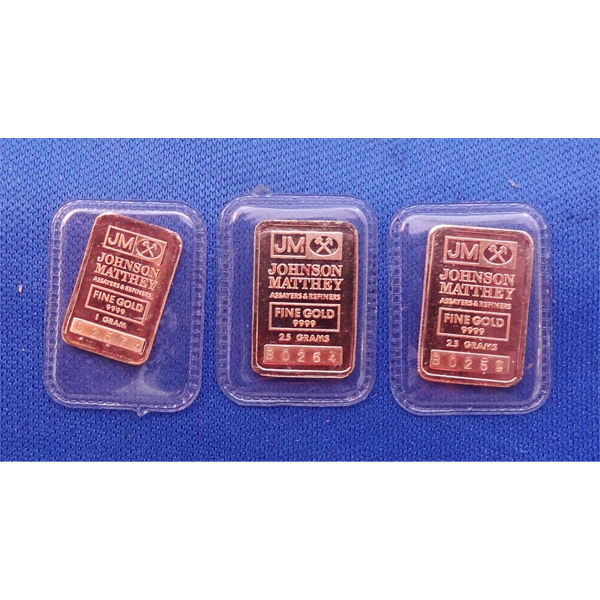 Most commonly they can be divided into two categories: One being a percentage of pure gold or silver and the other being a process referred to as electroplating. Thankfully there are easy ways to discern the different types of products by their markings. In the first category of items made of gold & silver you will find investment grade products that are typically 99.9% or in some cases 99.99% pure gold or pure silver also commonly referred to as Fine Gold or Fine Silver. When dealing with gold products, the purity of the gold is often expressed in “Karats,” (i.e. 10K, 14K, 18K, 22K) with 24K representing pure gold. In European countries you may not find the purity expressed in karats, what you will find is a numerical value represented as a decimal. For example, if you take 14k and divide 14 by 24 (24 being pure gold) you will get the value of .5833, if you notice 14k gold is often marked 585. You can do the same with all purities, 10k = .417, 18k = 750, etc. It also important to know how to recognize and discern the gold products that are not solid gold or a percentage of solid gold. In today’s market the most commonly encountered types are HGE (Hyper Gold Electroplate, also referred to as gold plated), RGP (Rolled Gold Plate), & GF (Gold Filled). Hyper Gold Electroplate is a very thin veneer of gold which is chemically attached over a base metal. This layer is so thin that it will wear off over time and use or peel off as the base metal below it corrodes. It is commonly used in costum jewelry and by coin companies that create collectible replicas of coins. RGP on the other hand is composed of a solid layer of gold bonded with heat and pressure to a base metal such as brass. This application is much more resilient and wear off as easily as HGE applications. Finally we have the Gold Filled category. You will often see these marked as 1/10 14k or 1/20 14k. Some high quality gold-filled pieces have the same appearance as 14 karat gold. In this process the base metal is mixed in with the gold in said proportions (i.e. 1/10 of the metal used is 14k gold). To figure out the exact content of gold you can take the numerical value elf the karat and divide by the fraction in which it is used. .585/10 = .0585 or 5.85% Gold. The great thing about this application is that is very durable and can be polished and re-polished without loosing the gold content. The finish can be brought back to it’s original luster. Just like we have many uses for gold plated applications we also have uses for silver plating. It is very commonly used in flatware, hollowware, and household decorative items. It became very popular during the time of the great depression and WWII when many people still wanted to have nice things in their home but couldn’t afford sterling silver. There are many different markings that allow you to distinguish this. An important one to remember is “IS” (Inlaid Silver), the others are more easily distinguished as the word “plate” is utilized (i.e. silver plate, double plate, triple plate, or Quadruple plate). The process of silver plating is much like that of Gold plating, it’s a very thin layer of silver over the top of a base metal. Because this outer layer is silver it will tarnish just like a solid sterling piece will. The difference is, as you continue to polish this piece over time you will eventually wear through the silver layer and begin to expose the base metal. As usual, we hope this helps.